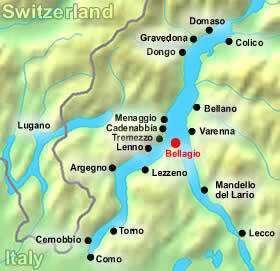 Here’s where we are (red dot)…Watch the Bellagio Italy Video! Bellagio hotels are well known for their fancy and luxurious decor (and prices! 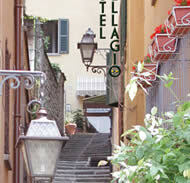 ), a direct reflection of Bellagio’s spectacular scenery and charming alleyways. But even the budget-conscious traveler will find hotels of great value on one of the most beautiful places on the planet. You are advised to book months in advance for the summer season. Now you can do a search to compare the rates of all Bellagio hotels by choosing your preferred dates from the search box below OR you can browse through all the hotels listed below. Note: Rates do change! Be sure to select a hotel provider after searching in order to verify their current rates and taxes. 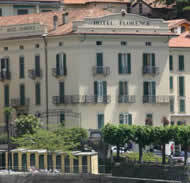 Location: 3km from Bellagio’s town center on top of a hill facing the lake. 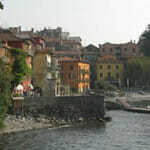 Description: Incredible panoramic view of Lake Como with lovely, old-fashioned rooms. It’s best to have your own car but they do offer a free shuttle bus which will take you to various restaurants in town. Be sure to book a room with a balcony facing the lake! 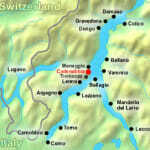 Location: Right on the lake with a view that extends to Switzerland. In the heart of Bellagio’s center. 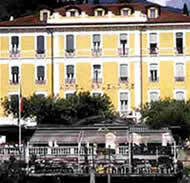 Description: You will feel like you belong to aristocracy with all the amenities of the only 5 star hotel in Bellagio! Beautiful interior designing with frescoes, marble staircases, very spacious rooms and antiques adorn this classy villa. Be sure to book a lake-view room! Location: Facing the lake in the center of Bellagio. 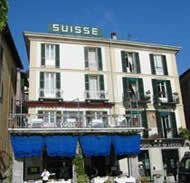 Description: An elegant hotel in Art-Nouveau style. Great amenities including a safe, satellite TV and wireless internet in each room. Right next to the ferry terminal. Location: Right on the lake and only 2 minute walk to the ferry terminal. 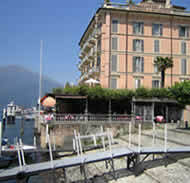 Description: One of the best locations in Bellagio directly on the lake. Rooms are simple and basic, but each have a view of the lake. Nice breakfast buffet and fresh dinners. No Online Booking Available. Call +39-031-950409 to check rates. Location: 10 meter walk to the lake. 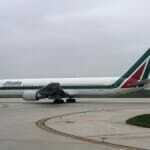 Description: A good choice for budget travelers who don’t want to give up an excellent location. Rooms and amenities are very basic. The International cuisine offered is absolutely delicious in its restaurant located below. Location: The lake is right in front of the hotel in the center of Bellagio. Ferry terminal is located right outside the door. Description: A charming and traditional family-run hotel with a friendly staff and clean, tidy rooms with old-fashioned furnishings. Be sure to request a lake-view room. Location: 38 steps up from the lake. Description: Completely refurbished in 2004 this nice, family-run hotel has bright furniture and mountain-view of lake-view rooms. 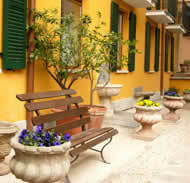 Located on a charming alley street and includes a great terrace for breakfasts and morning coffee. 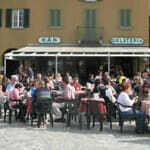 Location: Just opposite the lake in Bellagio’s central Piazza Manzini square. 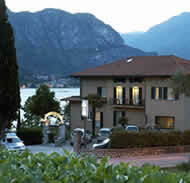 Description: Family-run and stylish, the terrace and modern rooms offer wonderful, unobstructed views of the lake. Other amenities include a gourmet restaurant, spa with sauna, Turkish bath and Jacuzzi. No Online Booking Available. Call +39-031-950342 to check rates. 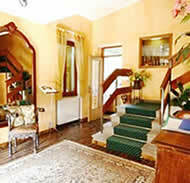 Location: 200m from the lake up steep stairs and in a quiet area. 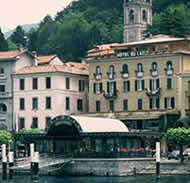 Description: Very charming and comfortable Bellagio hotel with clean rooms and exceptionally friendly staff. For visitors with mobility issues, keep in mind that there is no elevator and the hotel is located up steep stairs. We found the trip up the stairs to be worth the effort! No Online Booking Available. Call +39-031-951940 to check rates. 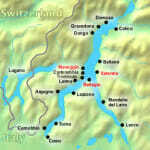 Location: 5 minute walk to the lake, 10 minute walk to Como town center. Description: Classic Best Western comforts including room cleanliness, good breakfast, restaurant, bar, wireless internet, satellite TV and room service. But choose a family-run hotel if you don’t like the corporate “feel” of large-chain hotels. No Online Booking Available. Call +39-031-950410 to check rates. 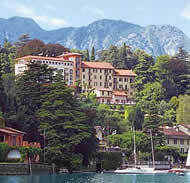 Location: Right on the lake and a 15 minute walk from Bellagio town center. Description: Although the center of Bellagio is a walk in the way, for a few euros there is a motorized ‘buggy’ which can take you to the town center. This Bellagio hotel gives you a quiet and peaceful nights sleep with its tastefully furnished rooms and modern bathrooms. We really enjoyed the exquisite restaurant overlooking the lake. No Online Booking Available. Call +39-031-950322 to check rates. 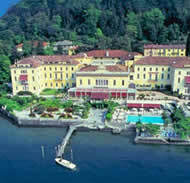 For budget travelers we’ve put up a list of 1 star and 2 star Bellagio hotels here. Many of these hotels are located away from the town center (but usually within walking distance), or have only the basic amenities. But if all you’re looking for is a small and basic room to spend the night in for the cheapest price possible, then one of these Bellagio Hotels may be all you need. You can always use our maps to map out the address of each hotel.